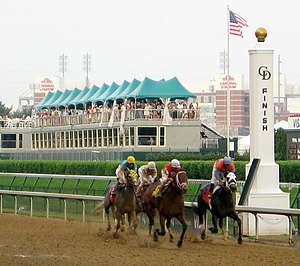 The Kentucky Derby feels like it happened yesterday, but somehow we made it in spitting distance of June. Where did May go? Did we do a time warp? Fortunately, the month isn’t quite over, so we still have time to enjoy some of the perks of the Louisville Convention and Visitors Bureau’s Hometown Tourist Celebration. The purpose of the festivities is to get folks like me away from the computer and into the wilds of Kentuckiana to enjoy the local food and fun in our area. Plus, a lot of participating businesses will give you substantial discounts when you show your Kentucky, Indiana, local student or military ID. Here are some of my favorite deals. Click here for a complete list of discounts. What’s your favorite Hometown Tourist destination?